Welcome to where relaxing beauty and high-octane adrenaline live in perfect harmony! 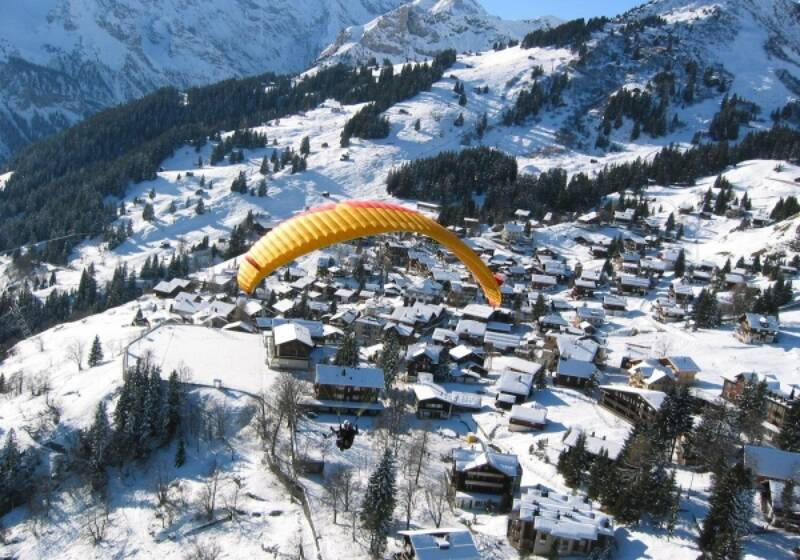 Interlaken is a traditional Swiss village located in the heart of the rugged Alps, between Lake Thun and Lake Brienz. 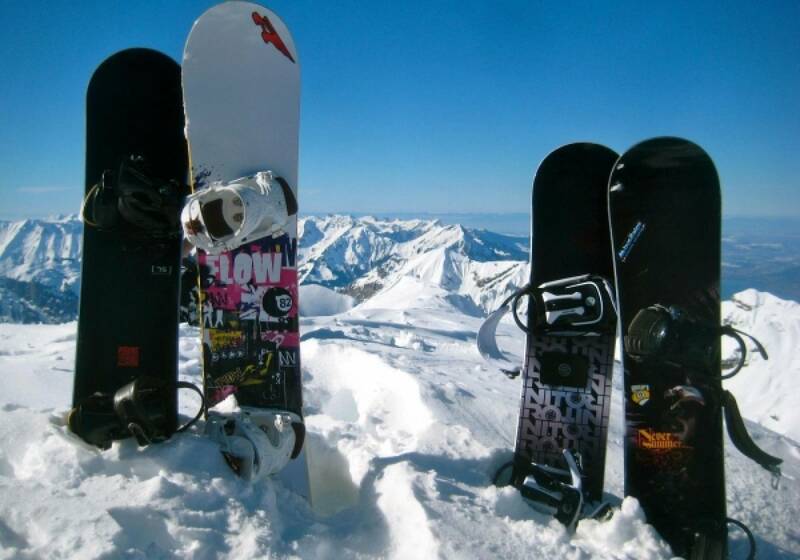 Scenic mountain walks and calming Alpine Spas collide with adventure activities like Skydiving, Snowboarding, and Night Sledding. Whether you are looking for inspiring beauty or an action-packed weekend, you will find yourself in Interlaken. Please note: Based on past years' weather, we can not guarantee availability of snow-based activities. However, those participating in trips during these weekends will still be able to participate in other adventure activities not involving snow, like skydiving, paragliding, and canyon jumping. The trip departs Paris from the Gare de Lyon train station. Please meet your trip leader 20 minutes prior to departure. Travel to Interlaken is by private luxury coach with A/C, DVD, and toilet. Upon arrival to Interlaken we will immediately check into our accommodation. 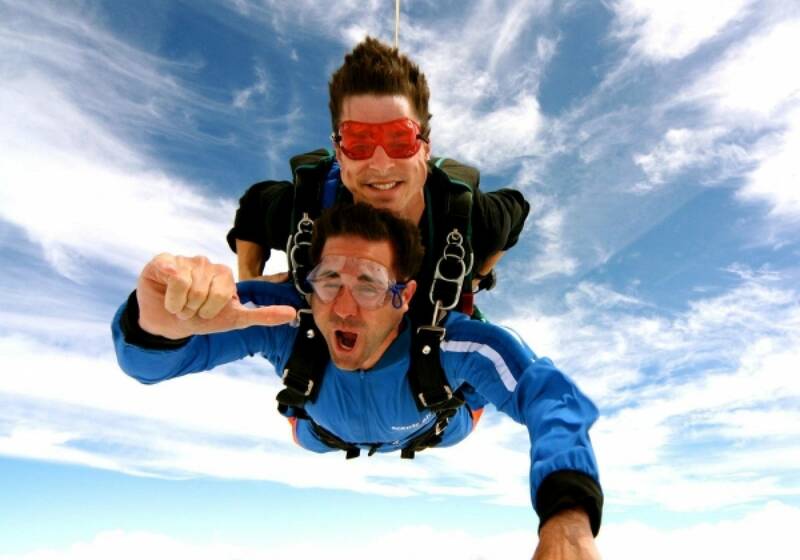 Your personal schedule for the weekend will be based on the activities you choose to do. 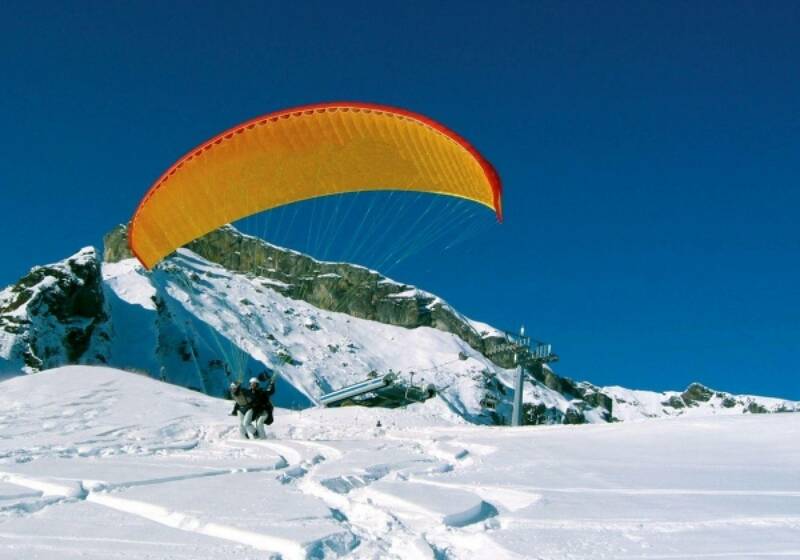 Activities include skiing, snowboarding, night sledding, skydiving, paragliding, Zurich day trip, hang gliding, snowshoeing, ice skating, chocolate shows, hiking, plus loads more. 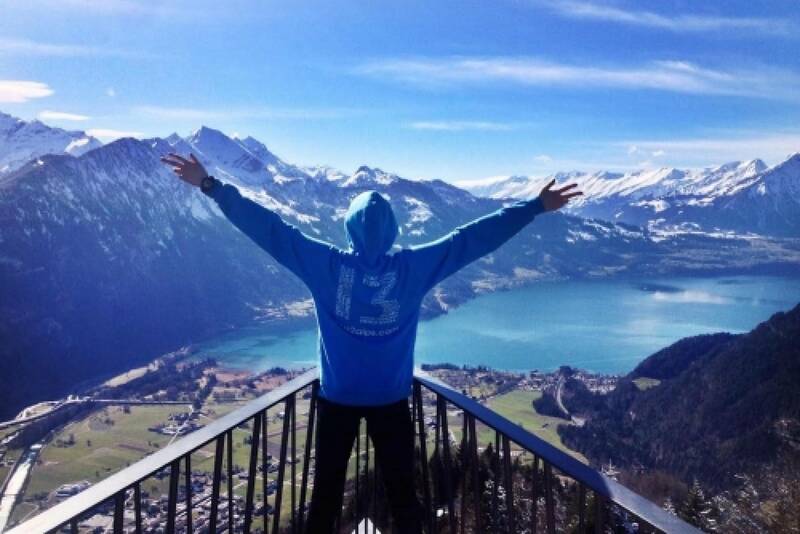 On Saturday there will be an optional day trip to Zurich (if trip meets required numbers). Some activities are weather permitting so plan accordingly. Consult your Bus2alps Trip Leader, hostel staff or city guide for recommendations and weather updates. 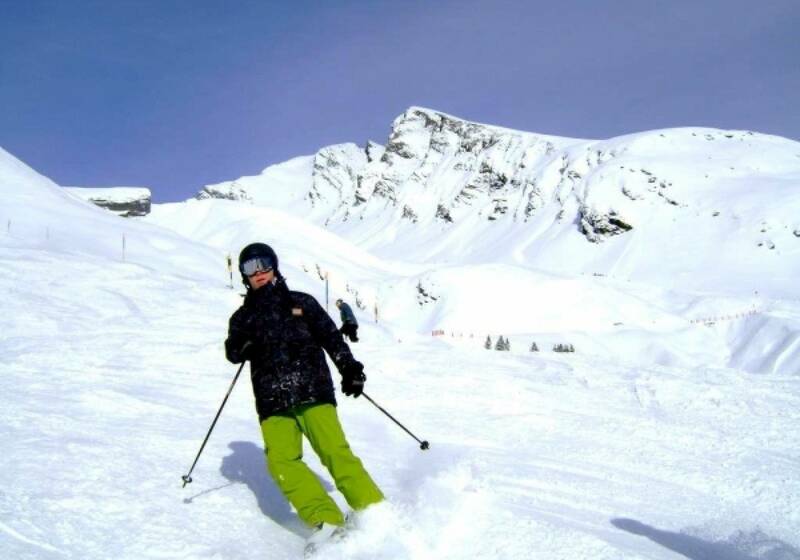 Meet your trip leader in hostel reception if you would like assistance getting to mountain for skiing and snowboarding. We will depart Interlaken for Florence on Sunday. If you plan to do any activities, please inform the outdoor company what time you need to return by. **Bus2alps guests get 5% off most extreme activities. ** All activities are weather dependent. Fun Car, Scooter, Mountain Bike Rentals: If you are looking for an alternative way to explore the area, you can rent any of these three vehicles and set off in search of adventure. Winter Seilpark: The Seilpark Interlaken is a winter forest adventure of wooden bridges, tarzan swings and zip lines. Swiss Food & Culture Tour: Visit a local farm, see cows and taste milk and cheese fresh from production, and then taste some of the world's best chocolate. The Story of Switzerland: Learn about the eventful history of Switzerland – once a low-wage country and today known to be one of the richest countries in the world by gaining an insight into banking, the watch industry, and their national hero: William Tell. Zurich Day Trip: Spend your day in the shopping capital and largest city of Switzerland. 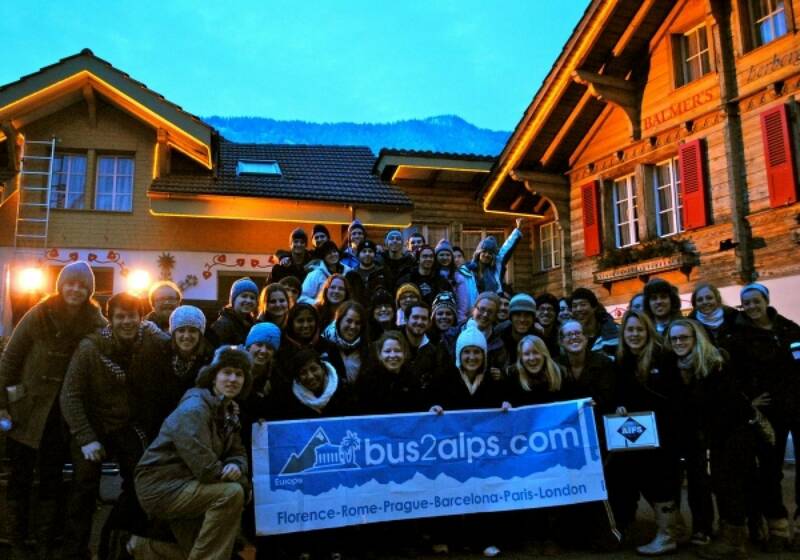 Private round trip transport is provided by Bus2alps. Casino Kursaal: Table games do not open until night. You need a passport in order to enter the casino. Skiing/Snowboarding: Full rentals (board/skis, boots, and winter clothing) are available. 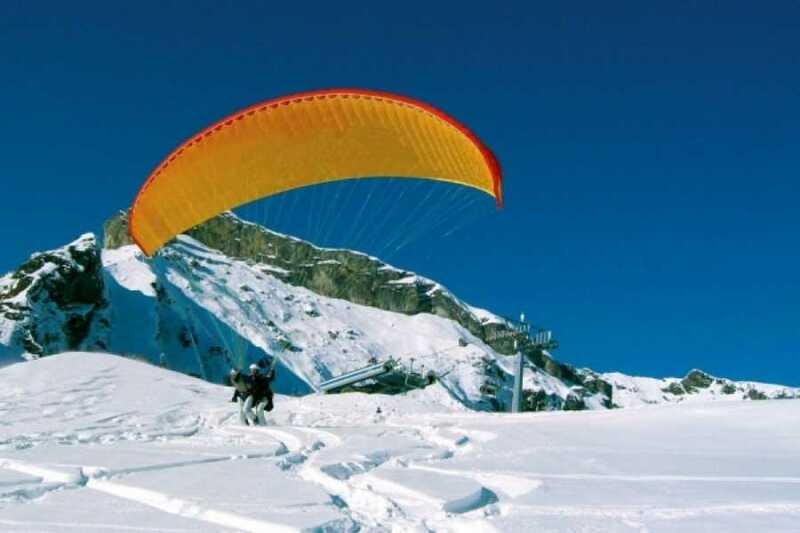 The mountain region is called Jungfrau and consists of four main peaks with tons of open skiable terrain. 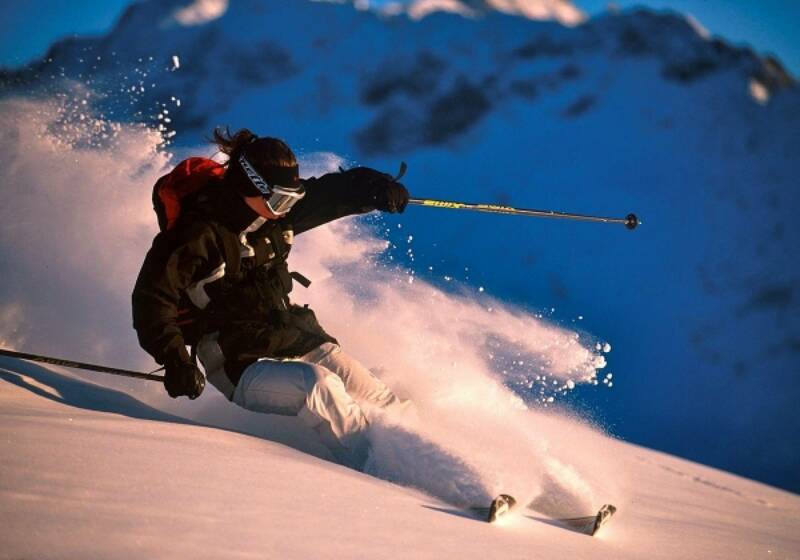 Beginner Ski Package: Package includes rentals, lift ticket, instructor, and transportation to the mountain. Nightsledding: Go back to your childhood gliding down a moonlit trail deep in the Swiss mountains. Traditional Swiss Fondue dinner is included. 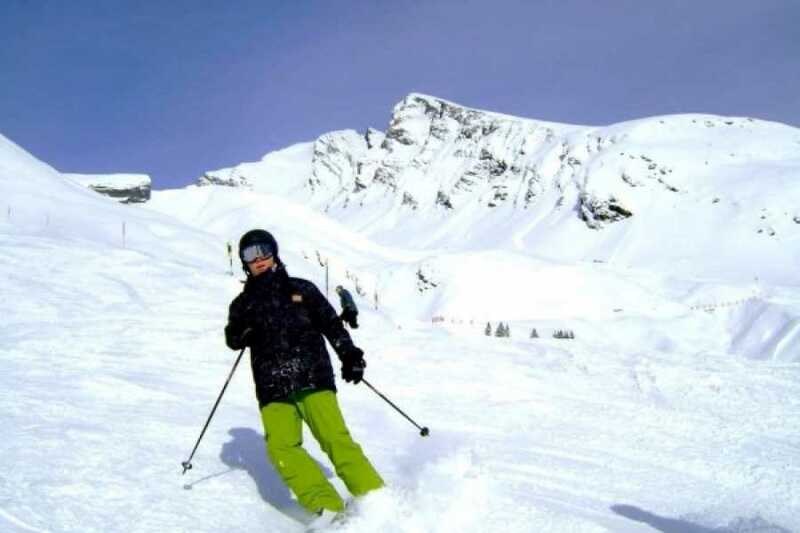 Snowshoe Trekking: Get your hiking fix while quelling your Alpine fix.